-10% Off of orange Mocke PFD'S and sale on all in stock Mocke products. -Save on the following in stock surfskis and sea kayaks from Epic and THINK. 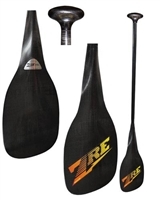 -Get 15% off of Epic paddles and accessories and 10% off of Outrigger paddles with purchase of any kayak or canoe. -Free shipping on all paddle and accessory orders $200 and over. Mocke Racer PFD / Life Jacket, 10% off special .